Located in Northern Texas, Fort Worth was founded in 1849. Based on population, the city is the fifth largest in Texas and boasts a population of almost nine-hundred thousand citizens. Originally founded as an army outpost, the city has transformed into one of the most prolific cities in the state. As part of the DFW metroplex, it contributes to the fourth largest metropolitan area in the United States. 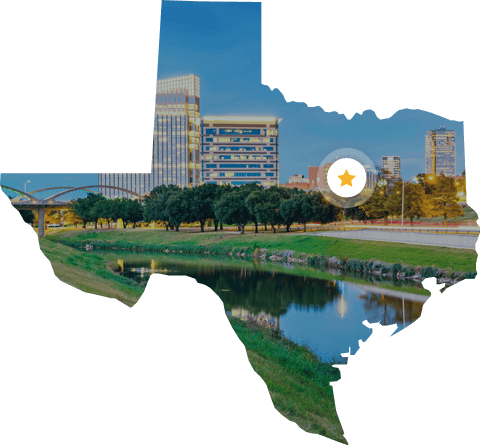 Due to the fact that Texas as a whole maintains a deregulated market, the city’s residents are able to select from a variety of energy service providers. With a vibrant, growing population and many employment and entertainment options – proud home to companies such as American Airlines and Lockheed Martin – the Greater Dallas-Ft. Worth area has unique needs and challenges when it comes to electricity and its residents need a reliable and trusted resource that they can turn to for affordable Fort Worth electricity. Along with its sizeable population, the city also maintains one of the higher electricity usage levels in Texas and averages 1,400 kWh worth of consumption per month, exceeding the national average by around 500 kWh. In addition, residents pay an average monthly electricity bill of over $130, once again topping the US average. This makes the ability to select from various service providers important, as it presents an opportunity for the people to cut back on the expenses they incur each and every month. Payless Power provides the best prepaid and standard plans with no cancelation fees and no deposit in the area. Since 2005, Payless Power has been helping people get a better energy rate and save on their average bill, regardless of income or credit history. As a family-owned business, and not a giant electric company in Texas, we take great pride in serving our customers with care and respect across the entire state. Vanessa was the last Customer Service Representative that I spoke with and you should clone her 100 times. I absolutely love payless power. Since i got with this electric company, paying and keeping track of my bill has been so much easier. Also i save around $150.00 at least a month by switching to payless power. So happy i found them.